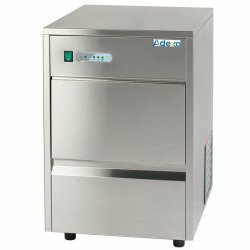 Meat Slicers at Adexa Direct - a leading supplier of catering & kitchen equipment in the UK offering the largets range, free shipping and unbeatable prices. Cut up meats, cheeses, and vegetables more efficiently with commercial meat slicers. 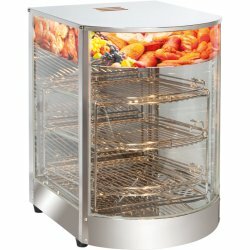 Keep your deli or sandwich shop stocked with freshly sliced meats and cheeses with these commercial meat slicers. With a variety of models designed for different levels of use, from entry level to premium, we have just the right meat slicer for a slow-paced restaurant or a bustling deli! Our great meat slicers can easily cut through vegetables and processed meats to fill your customers' orders, and with blade sizes ranging from 8 inches all the way up to 12 inches, you're sure to find the perfect slicer to match your output requirements. Choose from a variety of blade sizes that can accommodate small to extra-large pieces of meat to make your work easier and more efficient! With multiple horsepower options, safety features, and aesthetic varieties available, we make it easy to find the right commercial meat slicers for your operation, no matter how large or small. The Adexa HBS220A 9" manual gravity feed food slicer features a compact design that's ideal for smal.. 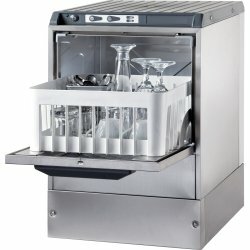 This Adexa HBS250A 10" manual gravity feed food slicer features a compact design that's ideal for sm.. 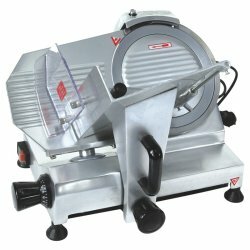 Heavy duty commercial meat and vegetable slicer with a ventilated motor and easy to clean alumi.. This Adexa HBS300A 12" manual gravity feed fooc slicer features a compact design that's ideal for sm.. This professional meat slicer is the perfect solution for all your medium-duty slicing needs! Whethe.. This professional food slicer is the perfect solution for all your medium-duty professional slicing ..